Keeton Industries line of electrically powered pond aeration systems are the premier brand in the subsurface aeration market. For the last four decades, they have strived to provide their customers with the best quality and value. Like the name suggests, their Quiet Line™ aeration systems are by far the quietest systems you can find anywhere. acres in size. 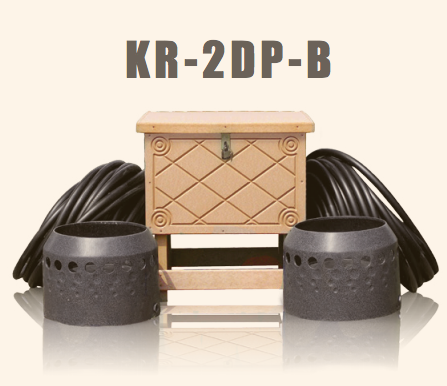 The KR series can operate up to four Duraplate™ diffusers. Alpine™ self weighted tubing is included with the B models.